For approximately 850 of our students, this week began with their last classes, last final exams, last midnight breakfast, last get-together with their study groups, last all-night study session, last meal in Tolliver or the Tonk, last project submission, last presentation, last walk across the quad with books in hand, and last hugs with classmates and friends. There have been many goodbyes to professors and friends as well as many pictures and Facebook postings with classmates and roommates expressing what wonderful experiences they have had together. There have been pinnings, award ceremonies, and recognition events by colleges and units, recognizing graduates for their accomplishments. Graduates have been checking out of their apartments and dorm rooms, and taking care of their business as they prepare to leave campus and start anew at their place of employment, graduate school, professional school, to another community or back to their home country. This last week of the academic year and last week of the college experience for many of our graduates is a special week that will end on Saturday with Commencement, or the beginning of the next phase of life for all those who are graduating. It is a bittersweet time for many, including me, as seniors move on to their next phase and new experiences, something for which Louisiana Tech has well prepared them to face. We will miss them and will miss their leadership on our campus. And I am confident that many of them will soon return to campus, to their alma mater, to visit with us and to reflect on their great experiences while students here. I welcome them back and wish them the best of luck! 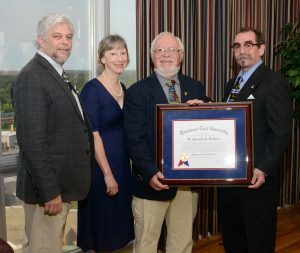 After a full day on campus Monday (see my last blog post), I had a few meetings in my office on Tuesday including a special recognition of the Director of the School of Performing Arts, Ken Robbins, who was named Professor Emeritus. He was joined by his wife Dorothy, a professor in English, Mark Guinn, the incoming Director of SPA, and College of Liberal Arts Dean Don Kaczvinsky. Following the ceremony, I went to a lunch meeting at the Historic Ruston Fire Station where city and parish leaders and public officials met with state emergency preparedness officials to review resources and plans should there be incidents in our community or on our campus. 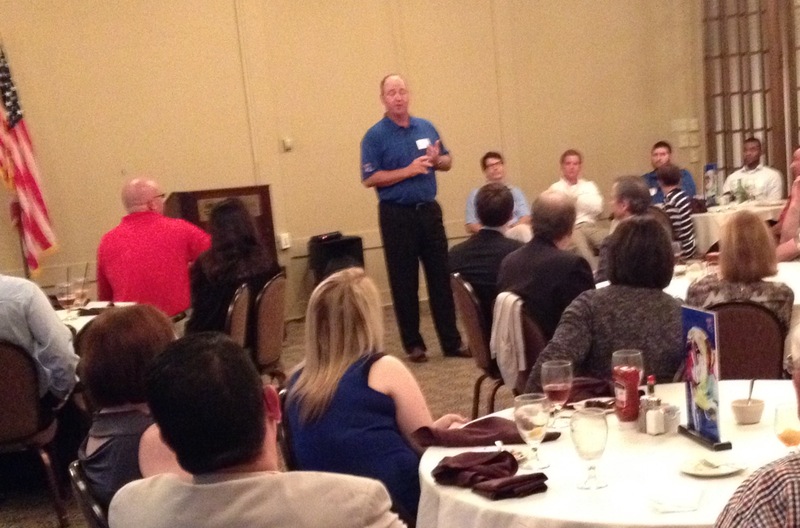 After lunch, I headed to Baton Rouge for a ‘Tech’s in Town’ alumni meeting at Juban’s Restaurant. There were over 100 alumni and friends in attendance, including our special alumni Jimmy and Minnie Mize. I was also pleased to see the parents of several students who are now attending Tech, and it was great to hear from them how much their children are enjoying being Bulldogs and Lady Techsters. It is clear to me that the positive word is out in Baton Rouge about Louisiana Tech’s great educational opportunities. I had a surprise guest stop by as the party was coming to a close. LSU President King Alexander was visiting with friends for dinner and stopped by to chat with me. 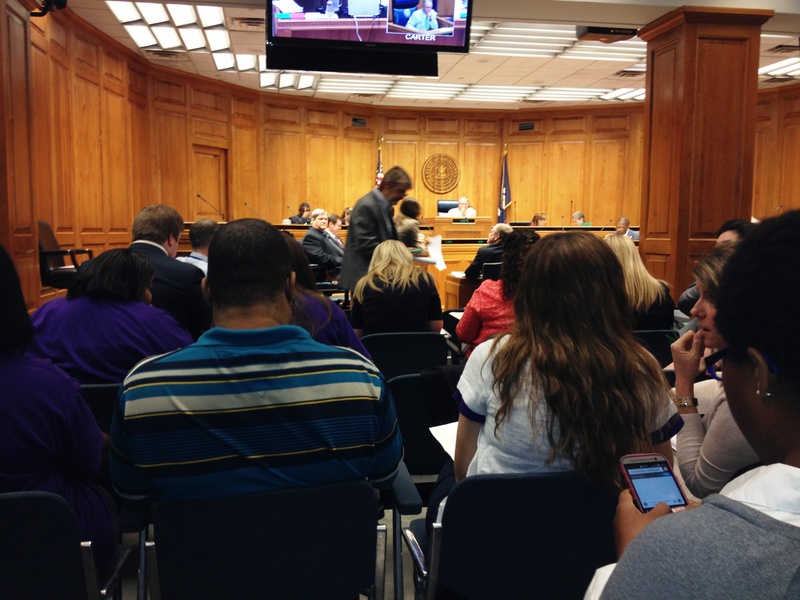 On Wednesday morning, I went to the Capital to sit in on the Education Committee and Joint Committee on the Budget where some important higher education bills were being considered. I was also able to visit with several legislators and senators to thank them for their support. Our northeast delegation has stood strong in putting higher education as the top priority for this session. I am particularly thankful for our alumnus and state representative Jim Fannin, who chairs the most important House Appropriations Committee. He has navigated stormy waters to secure the strong passage of House Bill 1, the state budget, that included almost all that higher education required for budget stability from last year. There are still more hurdles to cross, but we believe that the senate and house will continue to find ways to preserve higher education for a brighter future for our citizens. Wednesday evening, we had a “Tech’s in Town” event in Mandeville and welcomed approximately 50 people from the Northshore area. Coaches Skip Holtz and Jabbar Juluke joined me along with AD Tommy McClelland in providing overviews of Tech athletics and campus highlights. Long-time friend and University Foundation Board member Jim Kilpatrick and his wife Carolyn were two of those in attendance at the event. I was also pleased to see some of my former students and parents of current students. I returned back to Ruston on Thursday for a mid-morning meeting with auditors who were doing an entrance meeting. Then I met with VP Corre Stegall to discuss upcoming alumni events and foundation activities, and followed that meeting with AVP Sam Wallace and architects. Late Thursday, Kathy and I enjoyed taking our spring quarter commencement speaker, Dr. Kamal Jabbour, and his wife out to dinner. On Friday morning, Dr. Jabbour and I met with some local business leaders to discuss current issues in cyber security and information assurance. Later Friday morning, I was pleased to join athletics administrators, coaches and staff in the Thomas Assembly Center for a stole ceremony for student athletes. 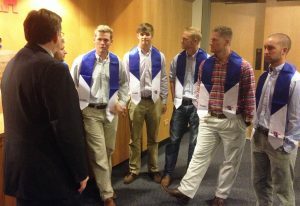 This was a special event to celebrate and recognize those student athletes who are graduating on Saturday. The rest of Friday was set aside for prepping for Saturday’s commencement exercises. I look forward to this special event on Saturday called ‘Commencement’, where we will celebrate our graduates for success in college and encourage them for further success as they begin this next phase of life. 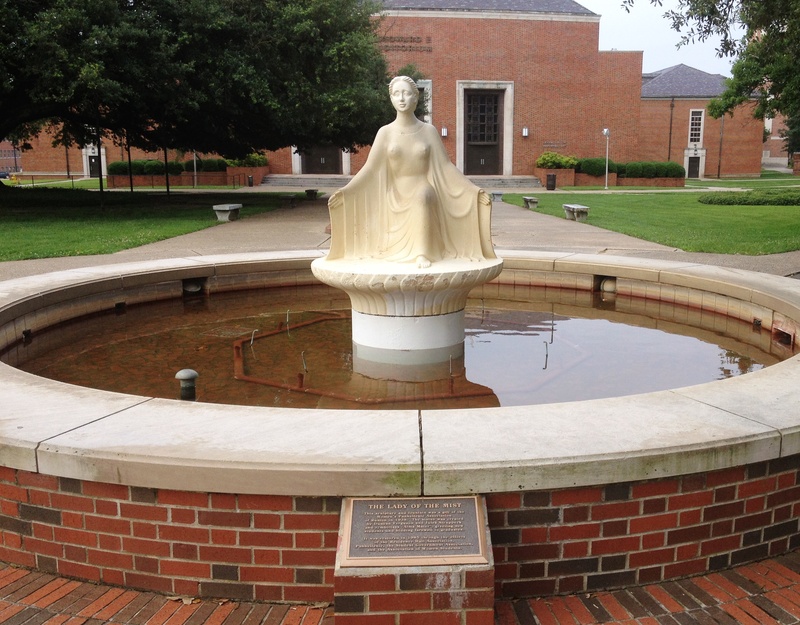 And at the end of commencement, each graduate will receive a Tenet Medallion inscribed with their graduation year – a medallion that they first held as freshmen and deposited in the Lady of the Mist fountain at the beginning of their Tech experience.